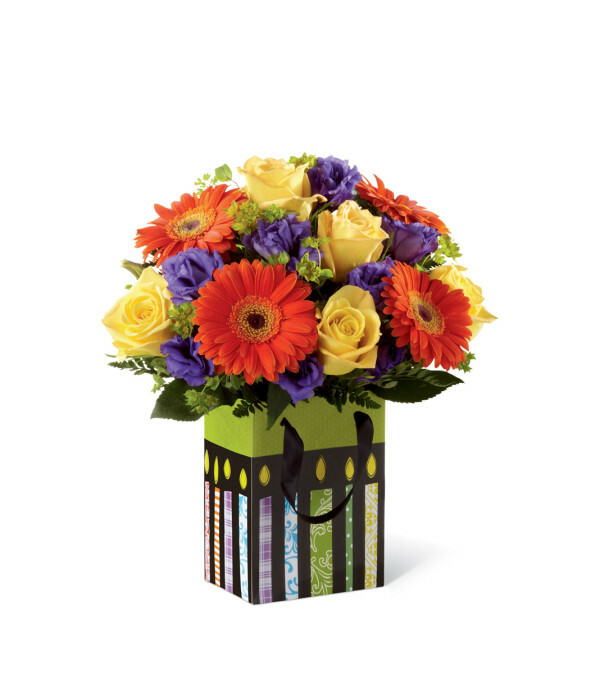 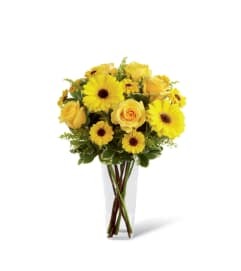 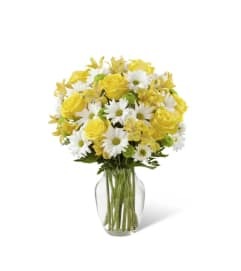 The FTD® Perfect Birthday Gift Bouquet is a bright and cheerful bouquet set to get the celebration started! Sunny yellow roses, orange gerbera daisies, and purple lisianthus create a brilliant splash of color arranged amongst lush greens and placed in a bright birthday bag displaying candles in every shade. 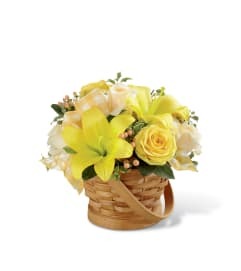 A wonderful way to show you care on his big day!